"Aomori scenes, etched to compelling effect on the frame. 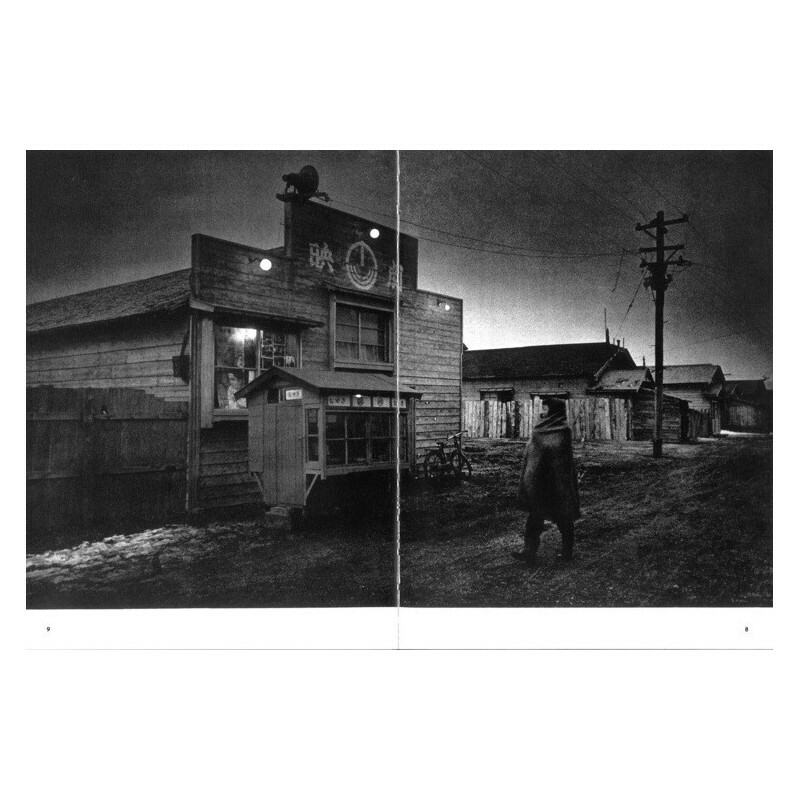 The work of photographer Ichiro Kojima (1924–1964), who was born in Aomori and spent his career photographing the natural features of the region and the traditions of its people, still harbors a soul-stirring power. 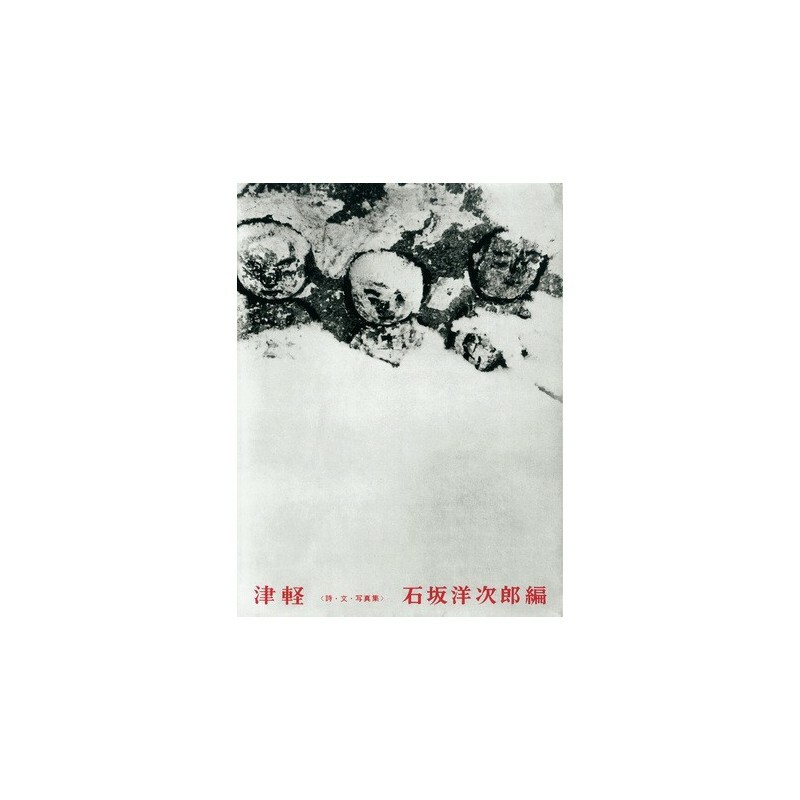 During his short life of only thirty-nine years Kojima released his first, and ultimately his last, photo book: Tsugaru: Poetry, Writings, Photography (1963, Shinchosha). 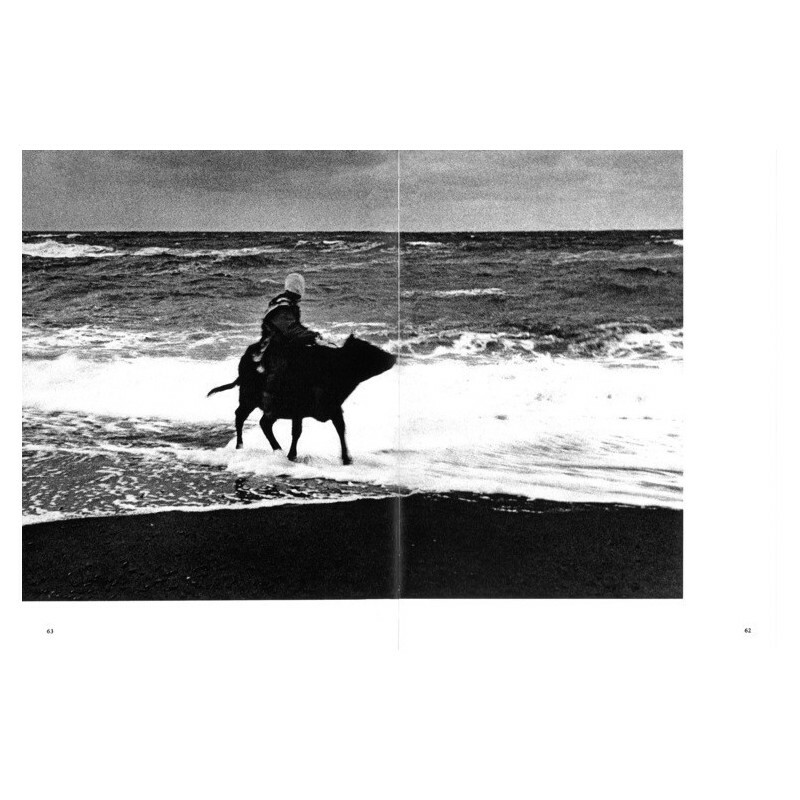 Unfortunately, in the half-century since it had gone out of print, until this reprinting was undertaken to coincide with the staging of [the exhibition] «Ichiro Kojima: To the North, From the North» held at Izu Photo Museum, 2014, that marks ninety years since Kojima’s birth, and fifty since his death. 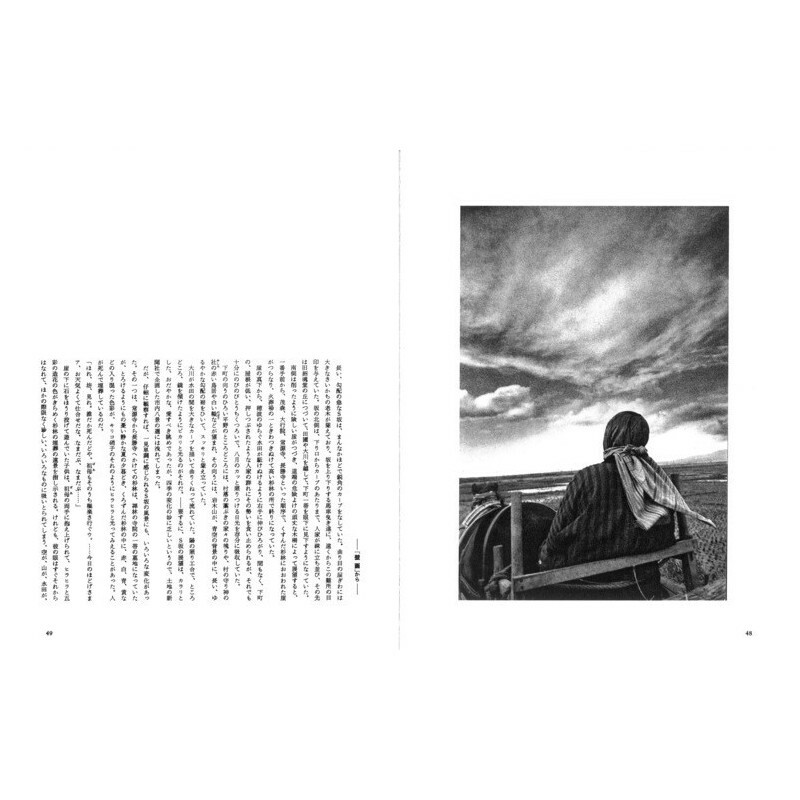 Tsugaru: Poetry, Writings, Photography is a unique record of the landscapes, climate and customs of the Tsugaru region, three Tsugaru-born artists employing pen and camera to capture their childhood home. 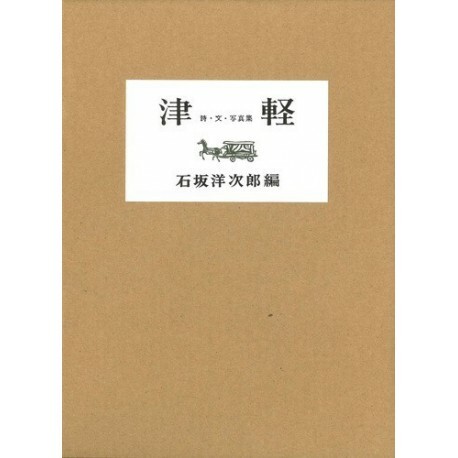 Comprising text by Yojiro Ishizaka, poems in Tsugaru dialect by Kyozo Takaki, and photographs by Ichiro Kojima, it also includes an outer box featuring a horse and cart illustration by Junichiro Sekino, a printmaker also Aomori-born, whose career spanned from the pre-war years through the post-war period. The book capitalizes on the distinctive qualities of the rotogravure printing of the time, and attempts to faithfully recreate the carefully crafted binding of the original as well. 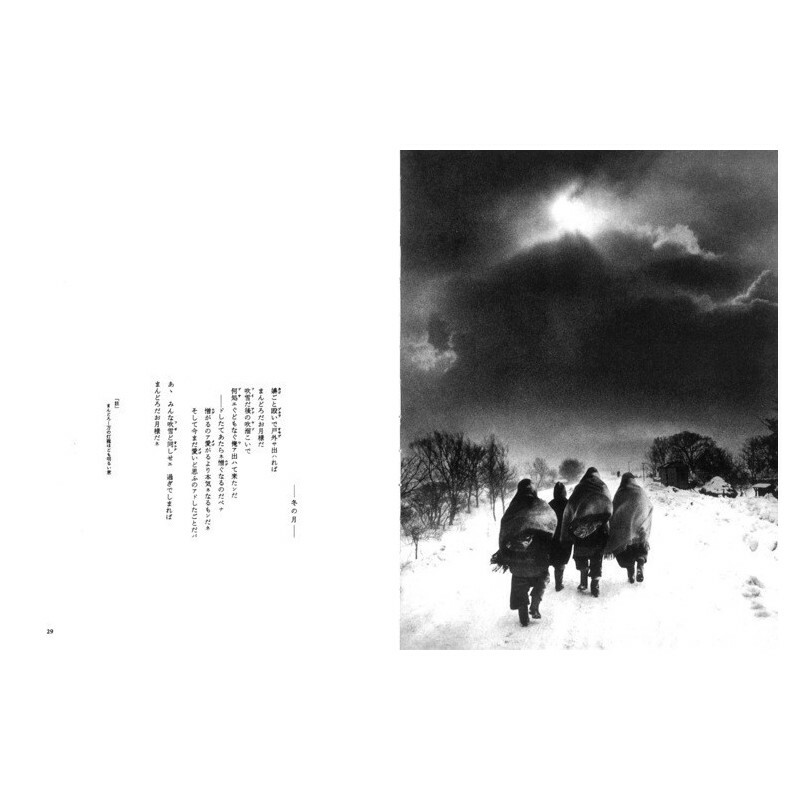 The reprinted Tsugaru: Poetry, Writings, Photography is supplemented by this explanatory leaflet in English, not included in the first edition, in the hope that the inexhaustible delights of the book, and Kojima’s work in general, will find an even greater audience." 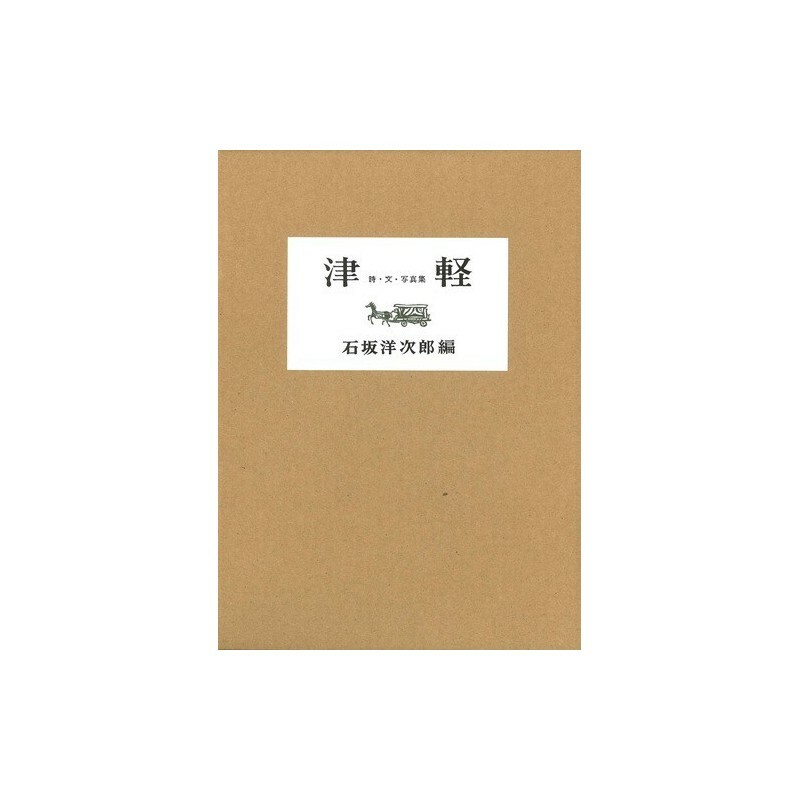 Ce livre est la réédition d'un ouvrage initialement publié en 1963 par Shinchosha et dont le titre complet est Tsugaru: Poetry, Writings, Photography. Cette édition tente d'être fidèle au processus d'impression de la version originale (héliogravure) ainsi qu'à la reliure. La qualité d'impression est en effet superbe. Par ailleurs, un livret contenant les traductions des textes en anglais a été ajouté. 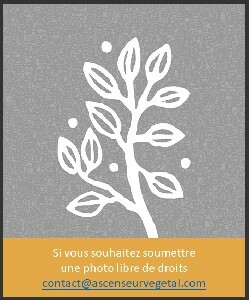 Ce livre a été édité avec la collaboration du "Izu Photo Museum".